Network infrastructure vendor Extreme Networks has narrowly exceeded its previous Q2 sales forecast for the three months ended 27 December 2009, posting revenue of $79.4m (£49.8m), a little over $1m above expectations but down 9% year-on-year. The firm sank to a net loss of $1.3m, having posted a $2.4m profit in the year-ago quarter, including a hefty restructuring charge of $4.1m and stock-based compensation charges totalling $2m. EMEA accounted for just under half of total revenues, which showed some improvement sequentially as the networking sector claws its way out of the recession. Bob Corey, Extreme CFO said the vendor had worked with suppliers to put the supply chain issues that dogged it during 2009 behind it, as well as "improving operational execution across the company." 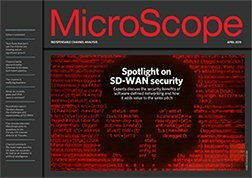 Extreme - which has cast itself as something of a lone ranger in the networking world, eschewing the vendor alliances favoured by its competitors - last week unveiled its latest vision for the virtualised, managed data centre, launching new modules and switches that it claims feature "market-leading scalability, performance and simplicity". Speaking to MicroScope ahead of the launch, Gary Newbold, Extreme UK & Ireland regional director said the firm was aiming to "deliver high-performance, best value equipment". "It's important that we continue in that vein to make ourselves more relevant, in part because Cisco owns our market space," he continued. Jan Hof, Extreme senior director of EMEA field marketing added: "Cisco is trying to build a complete solution [UCS], and we believe you will never be the best if you do that; we want to let integrators pick the best solutions for themselves."